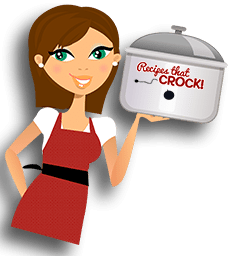 How to Choose the Best Crock Pot for You - Recipes That Crock! 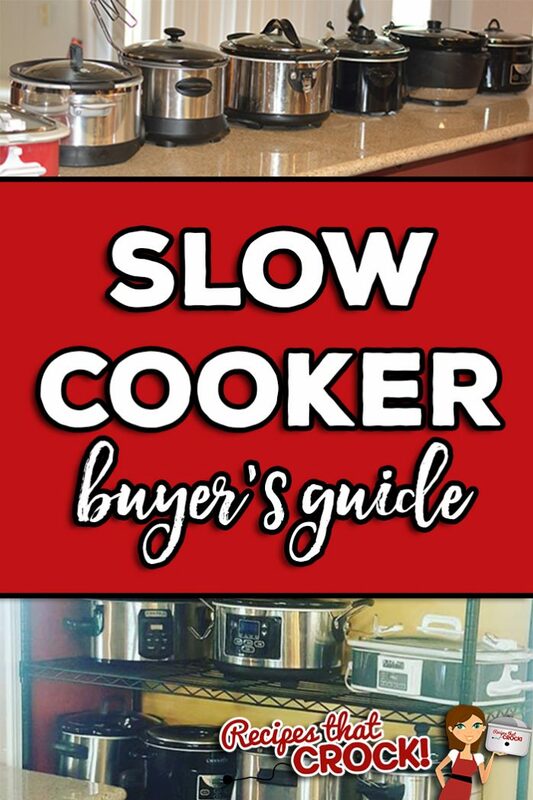 Are you looking to purchase a new slow cooker for yourself or for a gift? Are you wondering about how to choose the best crock pot for you or your loved one? 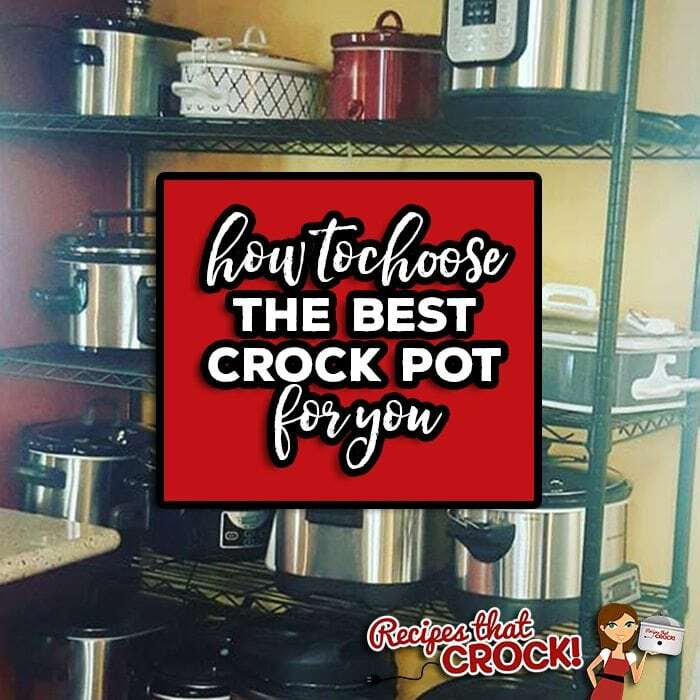 We have cooked hundreds of crock pot recipes over the last several years in many different makes and models and this is our guide on how to choose the best crock pot for you. These days you can find slow cookers in every shape, size and feature imaginable! But all these choices can be quite overwhelming and we get asked all the time about what slow cooker readers should buy. This is our comprehensive guide on how to decide what slow cooker is the best crock pot for you. We give you 3 questions to consider, tell you our personal favorites, our least favorites AND our recommendations. The best slow cooker for you may not be the best crock pot for your neighbor. Start by asking yourself these 3 questions to discover the best crock pot for YOU. There are all kinds of great slow cooker options from browning multi-cookers to a slow cooker that stirs your soup for you, BUT features come at a price. Don’t worry if you have a limited budget. There are a lot of affordable slow cookers of all sizes that will allow you to whip up great slow cooker recipes just as well as their more expensive counterparts. If that is the case, go for a basic slow cooker in the size that you need and you are good to go. 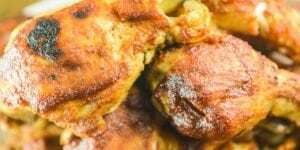 We recommend that readers have a large (6 quart or larger) and a small slow cooker (4 quart or smaller) to best be able to cook the majority of our recipes. If that is not in your budget, we often share a trick to turn your 6 quart slow cooker into a smaller unit as needed by using a heat safe bowl inside it like we did in this recipe. (The large bowl in this set is the one we use all the time.) OR ,you can purchase a slow cooker that lets you adjust the size of your pot. A part of your budget is also considering if you will be investing in a longer term slow cooker with a ceramic insert or if you might want to sacrifice some longevity for a must-have feature such as non-stick coating. If you do have a bit of a budget, you can begin to consider different features and options depending on your needs. Maybe you want a slow cooker that is non-stick and programmable or if you travel a lot, you want a model that allows you to carry it with one hand. Use the next two questions to consider those features. There are features for about every need out there. Think about the kinds of slow cooker meals you love most and pick the best crock pot model to fit your needs. If you love cooking casseroles, you might consider the casserole crock that so many love. It comes in a manual model and a model with the programmable feature. If you love cooking roasts, hams and poultry, you might prefer a unit with a built in meat thermometer. 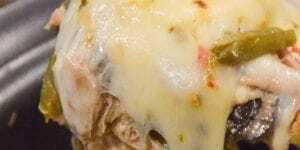 Is ground beef a staple in your crock pot dinners? A browning unit can be a game changer. 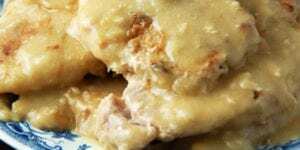 Are you cooking for two or a fan of slow cooker dips? We love this little 2 quart and the mini casserole crock. How do I use my slow cooker the most? Is your slow cooker mainly a weekday lifesaver to get dinner on the table? 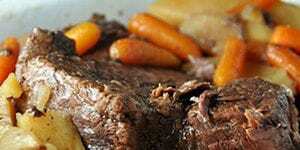 You may want a programmable slow cooker to save your dinner when you are caught in traffic. Or, this one that adjusts the cooking time to fit your schedule. Perhaps your slow cooker is mainly a party animal that comes out to play when you are feeding a crowd. You may want a 3 pot buffet slow cooker or one that is known to travel well in the car. If you are considering a gift for a camping fanatic or college student, you might consider giving them a unit that will allow them to do any browning steps IN the slow cooker. It truly makes their slow cooker an all-in-one unit. Do you often FORGET (who me?-never!) to turn on the slow cooker in the morning? You might choose an electric pressure cooker with a slow cooker feature to offer you the option of cooking things slow on the days you remember and quicker on those forgetful days. When folks ask me my favorite slow cooker, I always say Cuisinart’s 3-In-1 Multi-Cooker. I have LOVED it from day one and use it almost daily. It is non-stick, cooks evenly and allows me to brown in the unit. My only caution for folks is that non-stick coatings traditionally don’t last as long as their ceramic cousins. I will say this unit however has held up much better than some of the other non-stick models I have owned. Mikey LOVES our Ninja Cooking System for all of the same reasons I love the Cuisinart, but he loves that it has a programmable dial instead of buttons. He feels it is just easier to use. Aunt Lou has nicknamed her favorite slow cooker Sir Hamilton. 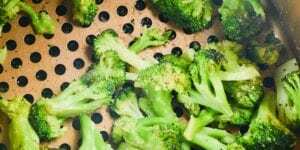 It has a non-stick pot that can be used on the stove top to brown meats and then return to the insulated unit that remains cool to the touch which is perfect for her house full of little kiddos. She swears by this unit for even cooking– it is the only unit she will use for rice dishes for that reason. She says clean up is a snap due to the non-stick coating that has also held up better than most of its non-stick counterparts. I had such high hopes for the WiFi Enabled Crock Pot. The idea of being able to control my slow cooker from my phone was a crock pot owner’s dream. But unfortunately, I couldn’t keep my slow cooker connected to my wifi to finish a dish. So while I could control it from my phone to start the cooking unit, it was never reliable enough to be able to adjust cooking while I was away because the pot would disconnect itself midway through cooking… every. stinking.time. It could be my internet. But I run my entire business from home on this wifi, I would expect it could handle a crock pot. I would say if you want to take the chance, the phone control feature would be a game changer, but it definitely is a risk that it may not work with your wifi. Mikey does not enjoy the West Bend Programmable Slow Cooker mainly because the base does not fully attach to the pot. It has made for many a messy accidents in the kitchen. The advantage to this slow cooker is the base could be used as a griddle for more careful cooks, but Mikey is not a fan. Mark strike two for the WiFi Enabled Crock Pot. After I got fed up with it, I passed it on to Aunt Lou and she too names it as her least favorite slow cooker to date for all the same reasons. This Programmable Right Sized Slow Cooker gives you the most bang for your buck. It is programmable and it lets you switch from a large 6 quart crock to a 4 quart or 2 quart crock by the push of a button. Its ceramic pot will not only hold up over time, it is also marked to let you know which size setting you should use depending on your recipe. I dub it the most economical because it removes the need for multiple slow cookers. The size changing feature also promotes more even cooking and better results because it is cooking your food in the right size. It would be a great first time slow cooker for new cooks and experienced cooks will fall in love with its versatility. It is worth noting, this slow cooker is one that both Aunt Lou and I own because of its quality and usefulness. Note: If this slow cooker is out of your price range, you might look at these more affordable options. As mentioned under our favorites (above), we all have our preferred browning friendly slow cookers. The best thing about all browning units whether in the pot or with a pot that can go on the stove is the non-stick coating which is also the thing to watch out for because it can wear out and peel eventually. However, some units do better than others in our experience. According to our experience of VERY HEAVY use here are the ones that have held up and the ones that have not held up as well. My favorite small slow cooker is definitely my mini-casserole crock. It is perfect for dips and smaller portions. I also like this basic little guy and this programmable option in the smaller category. The casserole crock is technically a smaller unit at 3.5 quarts BUT it handles most full meal dishes just fine. 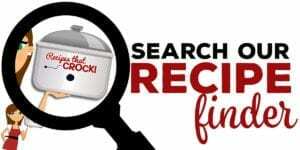 Its unique shape of a 9×13 crock (that is also oven friendly) is a natural fit for your favorite casseroles and it also is great for even cooking of meat dishes like pork chops and chicken because it allows you to spread out the meat for cooking. One thing to note is that we have had mixed results on “baked”goods and desserts in the casserole crock. We often find that cakes and baked goods cook up more evenly and set up better in more traditional crocks. But, if you have the budget for it, we definitely recommend it for everything else! The Instant Pot is all the rage these days. Different models will give you different options but the 3 settings we use most are definitely slow cooker, electric pressure cooker and rice cooker. I love the way this unit allows me to adjust my cooking methods to the amount of time I have and the recipe I want to make. One thing to note is that it can be overwhelming at first due to all the potential settings and options. But once you get the hang of it, you will love the versatility. Do you have a favorite slow cooker? Tell us about it!